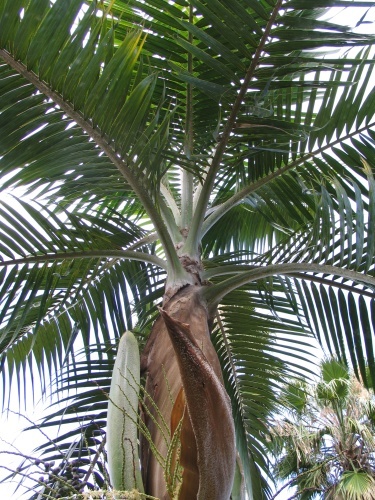 Certain types of palm tree leaves have a unique sheath at the bottom most part of the stem. Shelley uses varieties like the Alexander Palm (Archontophoenix alexandrae), the Royal Palm (Roystonea regia), the Foxtail Palm (Wodyetia) as well as others. After the tree naturally sheds its leaves, she harvests the sheaths. Each has their own unique texture, shape and color. 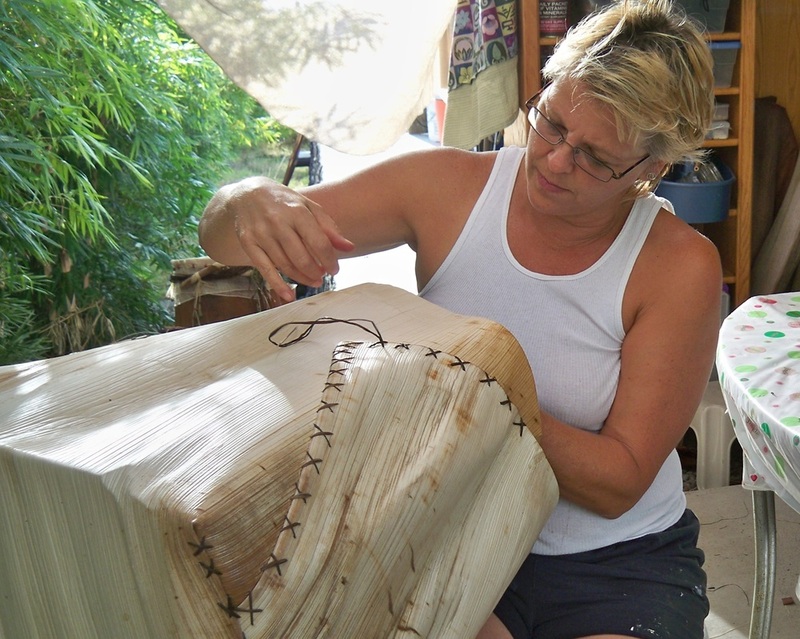 Using water to soften, she begins to sculpt the fiber into its next form, hand stitching each one with raffia and other natural fibers. After drying naturally – the material begins to contract into its new shape, always inspiring the artist, as she contemplates its final form and design. Because of the unique nature of each individual sheath, there are no two the same - each piece Shelley makes is an individual work of art. Each piece is numbered and signed, and sealed with either an encaustic wax finish or a hand rubbed polyurethane finish depending on the piece. 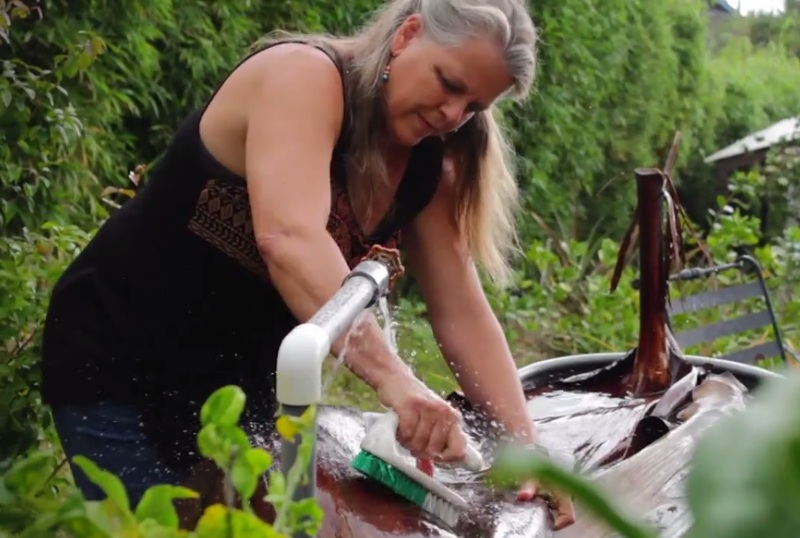 Click on the play button below to watch Shelley's interview with Lyman Medeiros on Big Island Television. Click on the play button below to watch Shelley in a video by Lovein Productions, entitled "Fiber and Texture".